Keeping up with crash statistics and motorcycle safety studies is more than just a hobby for me—it’s professional necessity. As a motorcycle accident lawyer in San Francisco it’s important that I know the risk factors of riding and how often other drivers (not the motorcyclists) are at fault. That’s why the newest research from Virginia Tech is so exciting. It’s some of the best work in active motorcycle safety research since the famous Hurt Report (published way back in 1981). The Hurt Report has sort of been the motorcycle crash static bible for the last thirty years. It’s really one of the best studies available but it’s extremely outdated and the methodology is restrictive. Critiques say the data is skewed and doesn’t represent modern ridership but, on the other hand, it’s the best resource we currently have. Until now, it has been the go-to for motorcycle class instructors, safety researchers, and motorcycle accident lawyers in California. Why is this new study so exciting? Mainly because it overcomes many of the limitations which limit the Hurt Report’s effectiveness. The Nuts and Bolts . . . Inspired researchers from Virginia Tech used new technology to track 100 motorcycle riders across 366,667 miles of Arizona, Florida, Virginia, and California highways, streets, and dirt roadways. They strapped five cameras to each rider and tagged on geolocation devices in order to collect accurate data about any crashes or near-crash events. The video feeds allowed them to see 360 degrees around each rider at the time of the crash and also a close-up of the rider’s face (important so researchers could tell where riders were looking and when exactly they spotted potential danger). The GPS data was used to calculate exactly where and when the accident occurred allowing researchers to examine weather, road conditions and a host of other contributing factors. Over the course of the study 30 crashes and 122 near-crash events were recorded. (For the purposes of the study a near-crash event included any time riders crossed the centerline of a roadway even if there were no other vehicles in the vicinity.) From this data set the Virginia Tech team was able to deduce a number of helpful insights for motorcycle enthusiast. It’s no surprise that the vast majority of the motorcycle accidents in California and the other states in the study occurred at “uncontrolled intersections” (intersections without traffic signals). But the sheer number of crashes at these types of intersections was surprising. Sitting at or riding through an uncontrolled intersection increased a rider’s risk of a motorcycle accident by 41 times. Data collected also showed that riding downgrade increases your risk of a motorcycle accident by four times. Riding uphill doubles your risk. That stat strikes home for me because San Francisco is full of hills thus the risk of a motorcycle accident in San Francisco is inherently increased! While hitting the pavement at high speeds is every rider’s nightmare, riding on well-maintained paved surfaces actually decreases the risk of a motorcycle by nine times. Riding on gravel roads or dirt tracks is much more risky. While as a rider your safety is often in the hands of the other drivers sharing (or not sharing) the roadway with you, you have to take responsibility 100% of the time and ride as safely as you can. The Virginia Tech study found that there were 35 incidents of riders crashing into the backs of vehicles—some completely stopped at intersections. 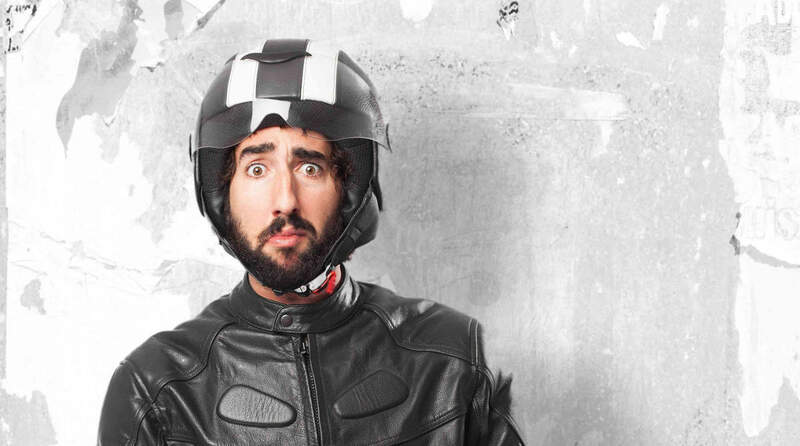 What can you do to avoid motorcycle accidents in San Francisco or anywhere else? If you’ve been injured in a San Francisco motorcycle accident, you need a professional to help you navigate the legal system, get the settlement or insurance payout you deserve, and put your life back together. We’re here for you. Sally Morin Personal Injury Lawyers has been fighting for the rights of California motorcycle accident victims for over two decades both in and out of court. If you’ve been seriously injured by a careless, reckless, or distracted driver, we may be able to help you pick up the pieces and put your life back together as soon as possible. Contact the experienced motorcycle accident attorneys at Sally Morin Personal Injury Lawyers today by submitting your case online to get help now.